We’ve already talked about the special edition watches Panerai and Zenith are putting out for the 35th America’s Cup in Bermuda. 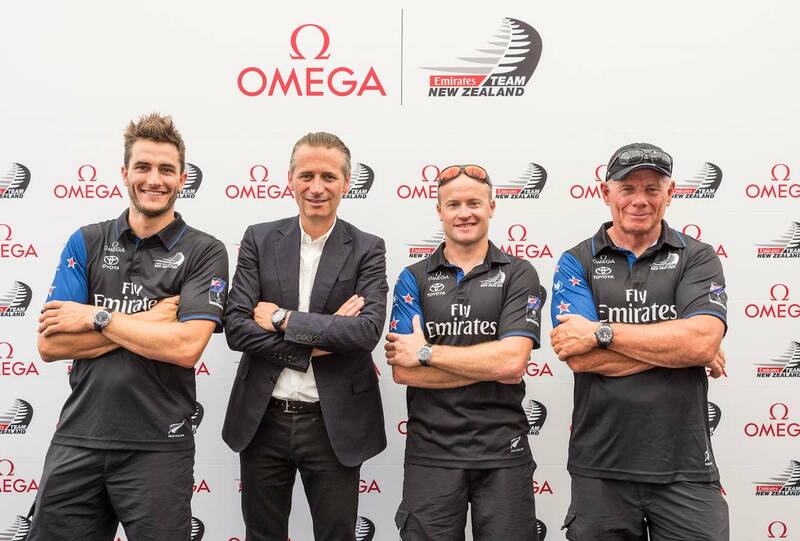 Now, Omega is getting into the game with two new limited edition timepieces in support of the Emirates Team New Zealand (ETNZ). This team may face the defending champions, Oracle Team USA, if ETNZ wins the qualifying rounds and then the semifinals. In order to advance they’d have to beat Land Rover BAR (supported by Zenith) but with qualifiers barely underway, anything could happen. Currently the field is wide open with other challengers still running which include: Artemis Racing of Sweden, Groupama Team France, and SoftBank Team Japan. 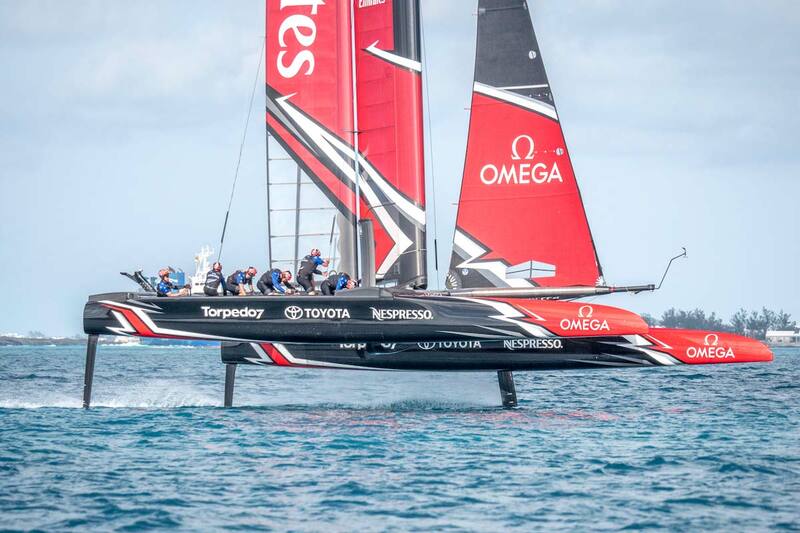 As ETNZ’s special partner and official timekeeper, Omega has created a couple watches of their own and is hoping to make a good showing in Bermuda. 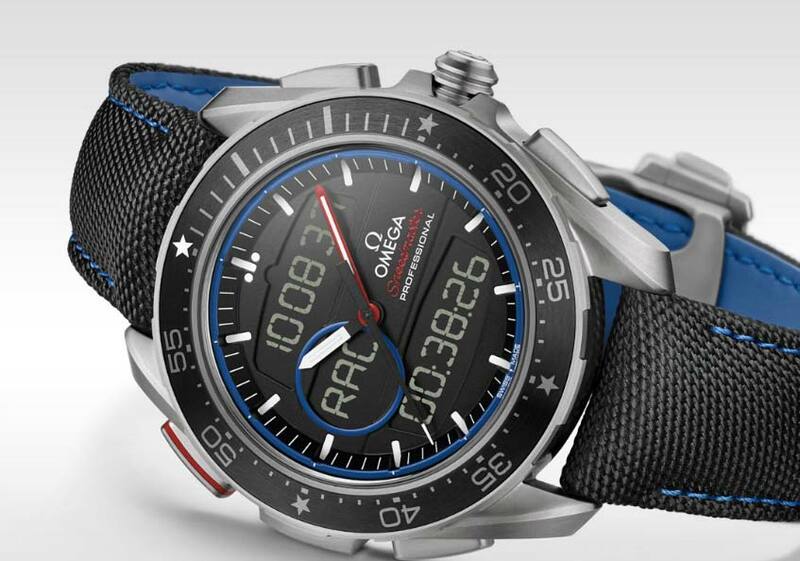 According to Omega, these timepieces were made with “the DNA of the Emirates Team New Zealand in mind.” The special edition Speedmaster created for the team could have been a great opportunity to do something really cool, instead it has come out as sort of a Frankenstein. 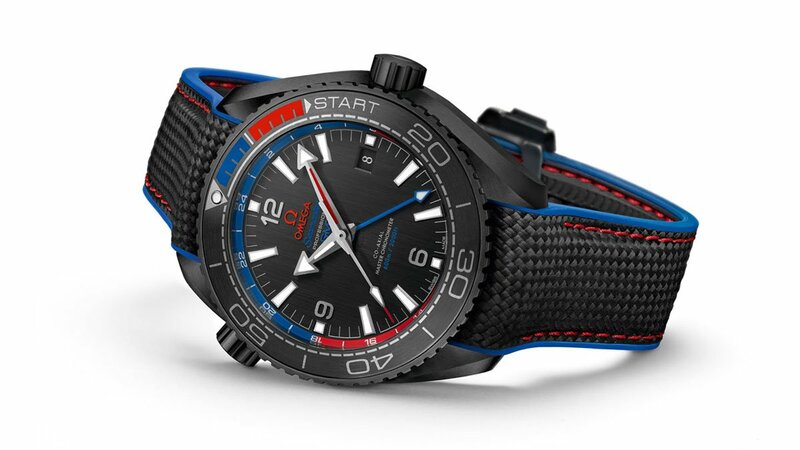 With heavy competition against Zenith and Panerai, Omega brings their own watches to the table. The Speedmaster X-33 Regatta ETNZ Limited Edition is worn by the crew while on board. While the watch’s combination of both analog and digital functions are practical, it seems like a disservice to the timeless design of the Speedmaster. The timepiece includes the essential regatta function to keep track of the critical five-minute countdown to the start of each race. Looking underneath the watch’s sail, so to say, we see the Omega Calibre 5620 quartz multifunctional chronograph movement. Be quick, as production is limited to 2,017 pieces.